THE trial of former Foreign Affairs minister Walter Mzembi, who is facing charges involving theft of trust property worth $1,8 million, has been moved to December 4, after the court was advised that he was too sick to attend court, which then had to issue another administrative warrant of arrest. 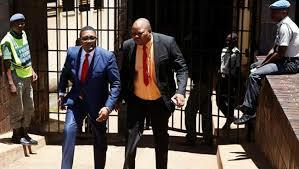 Mzembi, who is being charged together with Susanna Makombe Kuhudzayi and Aaron Mushoriwa, is believed to be in South Africa where he underwent surgery for an undisclosed ailment. However, Mushoriwa and Makombe appeared before magistrate Hosea Mujaya, who remanded the matter to December 4. Last week, Mzembi was issued with another administrative warrant of arrest in another case where he is accused of criminal abuse of office.